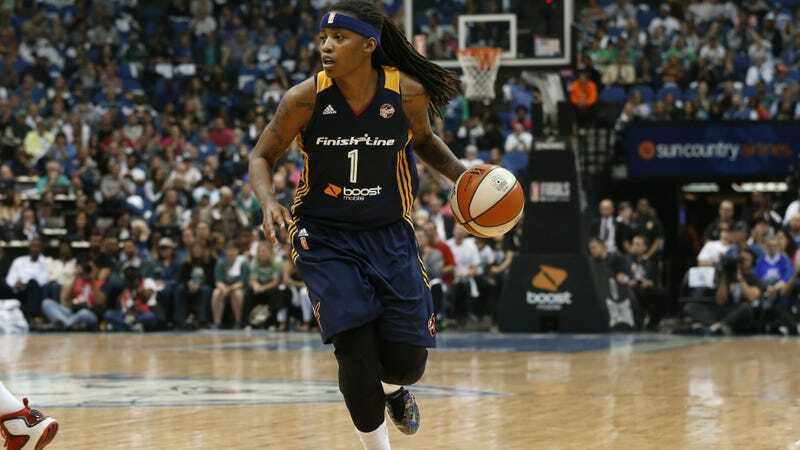 A big problem with the WNBA is that for many of the best players, it makes financial sense to not play in the league. Players make so much less money stateside than they do by participating in international leagues during the winter that the overseas leagues have started offering compensation to stars to sit out their WNBA season in order to save their strength. In 2015, Diana Taurasi became the first player to cash in on one of those offers when her Russian Premier League team offered her over $1.5 million to play for them—and not for the Phoenix Mercury, where she was making the league maximum at $107,000. Even if you’re not getting compensated to rest your legs, foreign leagues provide the women in the WNBA, where the average salary is $75,000, a chance to make many times what they do back home. The league doesn’t discourage this and, in fact, recently debuted a security app to help players abroad better communicate with the WNBA’s security team. But for the roughly two dozen WBNA players playing in the 14-team Turkish league this offseason, the recent violence in country has many of them considering coming home early. A group of players from the Los Angeles Sparks were out on New Year’s Eve, right next door to the nightclub in Istanbul where a terrorist attacked killed 39 people, inspiring a “handful” of players (who spoke on the condition of anonymity out of contract and safety concerns) to tell the AP that they are looking to return home as quickly as possible. Even if they can get out of their contracts—certain language should allow at least some players to opt out if the U.S. government recommends that a certain country is unsafe—it’s not necessarily so simple.